As shown on the previous page, in 1923 the Palomars set sail from Havana with their final destination listed as Sydney, Australia. 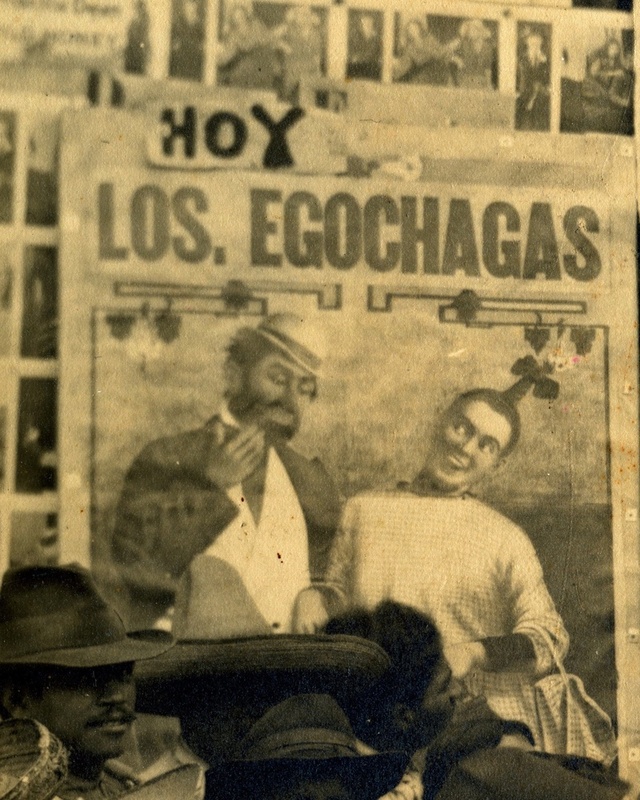 They travelled with Alfredo and Emerita Egochaga (sometimes spelled Egochago), who subsequently performed on the bill with them in Australia and New Zealand. My father had a partner, Spanish people, Eggacharga [?] the name was. And they did, oh, clown entrees and one clown entree I used to love, a clown bullfight with the dogs. The dog used to have a bull’s head on. 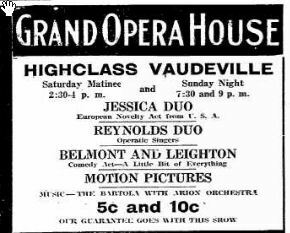 Jessie & Carmelo performed in Oshkosh, Wisconsin, on 7 April 1916 and their daughter Jessica Georgina was born on 14 December that year in Chicago. 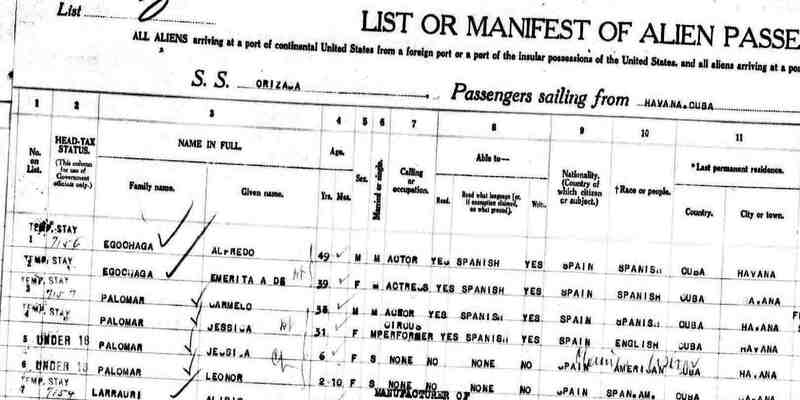 The 1923 passenger list shows that daughter Leonor was born in Sao Paolo, Brazil, in 1920, but I could find no other information concerning the years prior to their departure from Cuba. Then in April 2012 I was contacted by Melani Carty who is researching a Spaniard named Jose Escobar Perez. He was a clown who performed occasionally as Senor MacWills, but mainly as Pepito (see Melani's website www.PepitoAndJoanne.com). Melani knew that Pepito was on the bill with the Egochagas in Latin America, and found my website with "Carmelo the Spanish clown" on the bill in Australia. She knew that Pepito had been associated with someone billed as Carmelo, so between us we reckoned it was worth following up. There are also 'Clowns from Spain' who clearly must have been popular at the time. 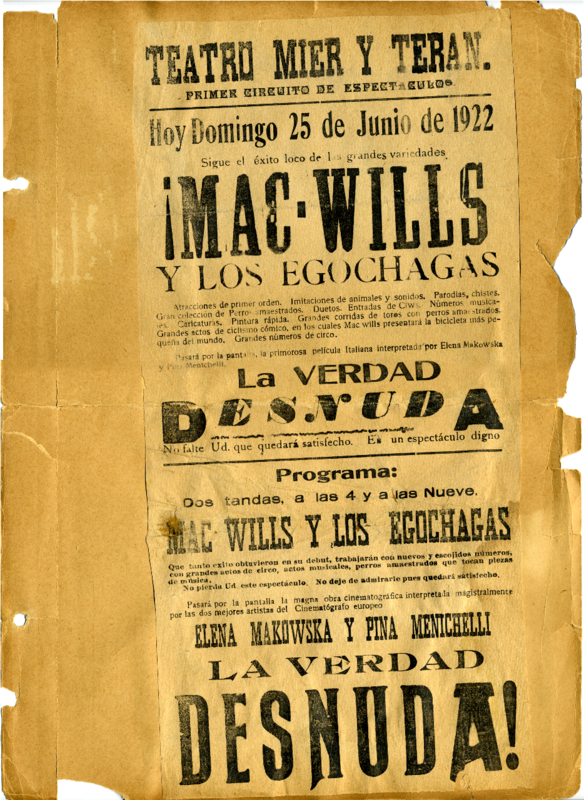 The following article dated 18 December 1919, Buenos Aires, was published in The Billboard on 24 January 1920. The last paragraph shows Pepito and Carmelo together, and the article makes interesting reading.